I first learned about the “Paleo” lifestyle through a vendor I worked with in Boston. We were out at happy hour one night and he mentioned he had gone Paleo and lost 16 pounds in a month – I was floored. When I initially heard what Paleo was, I was a bit skeptical and scared. No processed foods? How would I live without my candy and chips? I first came across Diane Sanfilippo’s cookbooks when I researched Paleo cooking on Amazon. 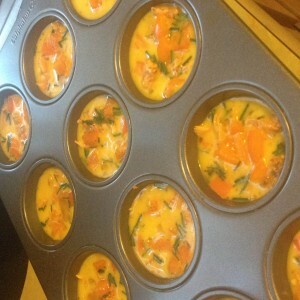 I purchased her book, Practical Paleo, and fell in love with pretty much every recipe in it! It also includes tear out checklists for items such as Paleo approved cooking fats which makes it *super* easy to understand what you should/shouldn’t eat. I don’t eat Paleo 100% of the time, but I try to stick to the 80/20 rule. I definitely feel a lot more energy and my blood sugar stays in check when I stick to it. The recipe I tested today is from Diane’s book – “The 21 Day Sugar Detox” which I recently purchased. I’m going to start this program on Feb. 2 (yes, after the Super Bowl) and will be documenting my journey for my blog! 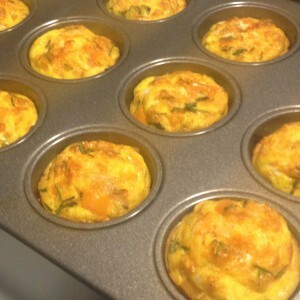 In the meantime, check out the recipe here to these AMAZING muffins. I also took pictures of the process of making them today to show you how easy they are! 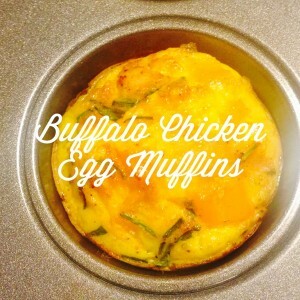 One note – I added orange bell peppers to the recipe for an added crunch. Otherwise, I followed the recipe as listed. Disclaimer: I am not a physician, healthcare professional, registered dietitian, or expert in the healthcare field. Always consult with your doctor before beginning a nutrition program. The finished product – YUM!